Good news for Sri lankans, Tata motors launched Tata Bolt smart hatchback in Sri Lanka. 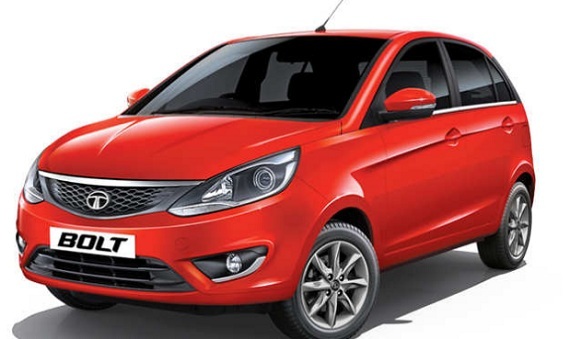 Tata Bolt price in Sri lanka Rs : 2590000.00. DimoLanka is the official dealer for the Tata Bolt car in Sri lanka. Tata Bolt is comes with Revotron engine, Dual front air bags, smoked projector head lamps, Comfortable rugby shoulder seats, Dynamic premium style alloy wheels, Smart rear viper with dual front air bags. Comparing with other Tata Car models this hatchback is designed to sporty design and thrilling performance. To get more information's about Tata Bolt, Call Dimo lanka customer care hotline 011-2449797.